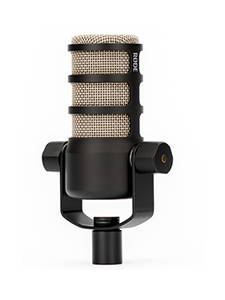 RØDE Microphones is proud to announce we're partnering with the 2018 Vocal Athlete Intensive. The Vocal Athlete Intensive is a week-long training event for intermediate to advanced singers happening in Seattle, WA, USA, May 14-18, 2018. This intensive training event is hosted by two world-renowned vocal coaches: Robert Lunte, 20-year vocal coach, founder of The Vocalist Studio, and author of The Four Pillars of Singing; and Draven Grey, acclaimed vocal instructor, music career coach and performer. Limited to 20 participants, you'll get five full days of workshops, masterclasses, individual coaching, and more. From a week of results-focused vocal training in beautiful and musical Seattle, to singing at Seattle's famous venue, The Crocodile, and spending a day at Ann Wilson's (of Heart) Studio X, this is an event you want to be sure to attend. 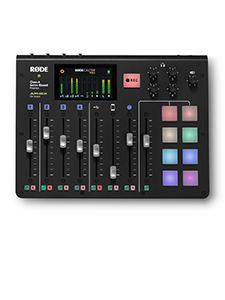 And, if you're one of the next 10 people to register (and attend), you'll receive a FREE RØDELink Wireless Performer Kit! Sign up now! Space is extremely limited! For our friends in Europe, Robert is returning for a series of Extreme Singing Masterclasses next month. 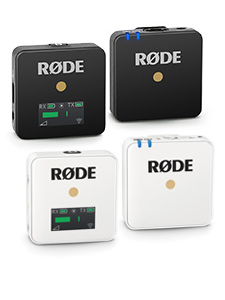 All attendees walk away with their very own RØDE microphone: The next 10 people to register will receive a wireless RØDELink Performer Kit – FREE.